Looking for a great Easter basket stuffer? How about a fun DVD? 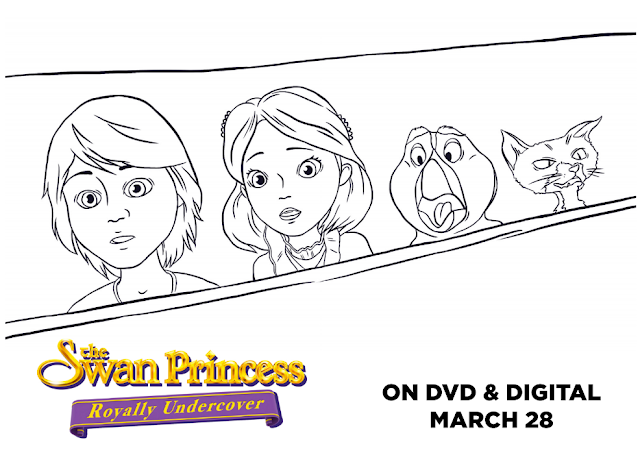 The Swan Princess Royally Undercover is available on DVD March 28! Would you like to pick up a copy? To get the kids even more excited for the latest movie from The Swan Princess franchise, here are some fun coloring pages to print out for the kids! Simply click on the image below and print out the coloring pages, and have fun! The Swan Princess is back, with an all-new feature length movie! Get ready to go on an undercover detective adventure when The Swan Princess Royally Undercover arrives for the first time on DVD March 28 from Sony Pictures Home Entertainment. The newest installment of the beloved animated franchise follows the enchanting tale of young Princess Alise and her friends as they embark on a new adventure where they solve a royal mystery using their detective skills and spy gadgets. Featuring fan-favorite characters and all news faces, this next installment is the perfect fit for a new generation of Swan Princess fans, as well as nostalgic fans of the franchise. After mysterious visitors arrive in the Kingdom, Princess Alise, Lucas and their friends go undercover on a secret spy adventure to see if they can be trusted. They will need all of their superior detective skills as well as some super cool gadgets to solve the royal mystery and save the Kingdom. Directed by Richard Rich from a story by Richard Rich and Brian Nissen, and a screenplay by Brian Nissen, The Swan Princess Royally Undercover was produced by Richard Rich, Seldon O. Young, and Jared F. Brown, with Seldon O. 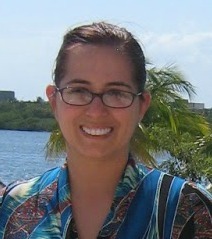 Young, serving as executive producer. Join “The X Factor” star Macy Kate in the studio as she records the theme song for The Swan Princess Royally Undercover, "Born to Be Me." Macy Kate also sang the theme song in the previous installment, The Swan Princess: Princess Tomorrow, Pirate Today, which was titled "I'll Be Your Star." 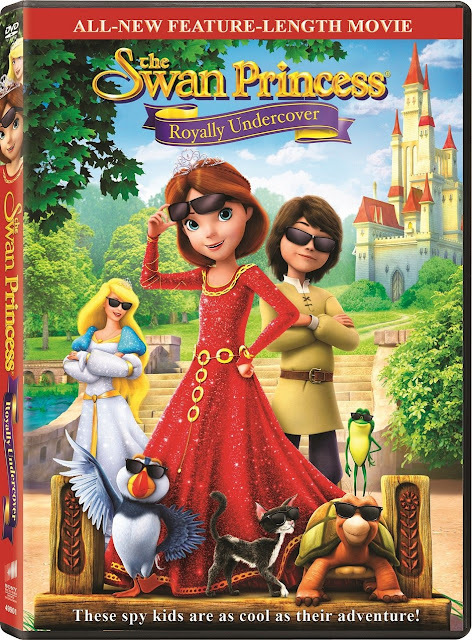 Run time of approximately 79 minutes and is rated G.
One of Susan’s Disney Family readers will have the chance to win a The Swan Princess Royally Undercover prize pack! 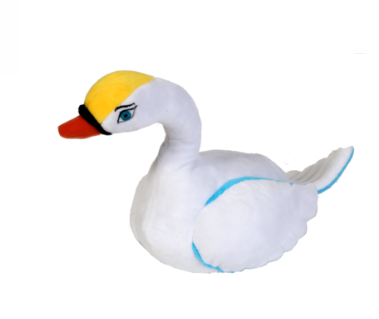 The pack includes a The Swan Princess Royally Undercover DVD and a Swan Princess plush! Would you like to enter? Please let me know who would love to see this movie and why? There are also other ways to enter, please enter below. I would love to watch this with my granddaughter. We love to play theater when she spends the night and this is one neither of us have seen so it would be a great new movie for us. I would like to see this movie with my daughters. I would like to watch this with my daughter, then I'd pass it on to my nieces. It looks like a cute movie. I would like to watch with my nieces because they would enjoy the movie. My daughter would like this movie because she likes princesses and action. My cousin and I would watch this. We love anything princess themed. I'd love to see this movie with my daughter because The Swan Princess movies were my favorite growing up. My daughter would love to see this movie since she loves princesses! I think that this is a cute movie and I would watch it with my daughter. I would like to see this with my wife and daughter. It looks like a good family movie. My little niece would love to see this movie, she always dresses up like a princes! My daughter would love to see this as she loves princesses.